A more updated version of my hipster Tel Aviv travel tips can be found here: Hipster Tel Aviv travel tips (updated regularly). 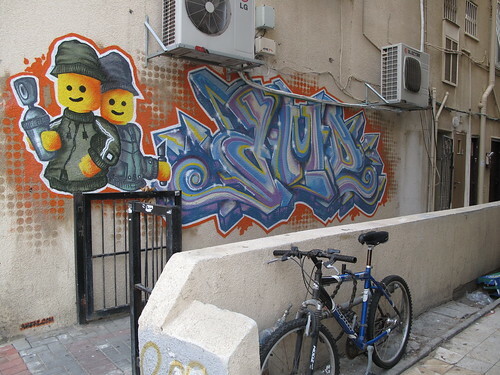 In Tel Aviv, you’ll find bicycles and graffiti everywhere. It’s a lot like Brooklyn, except everything is in Hebrew and there are way less Orthodox Jews than there are in Brooklyn. A bit grungy, you can find some of the best bars in Tel Aviv on the main Florentin street and down by the intersection with Vidal Street. Lots of cafés, too. On Vidal, you’ll also find Tel Aviv’s BEST Mexican food at Mezcal. No joke. And the bartenders here are notoriously good-looking. Most hipster bar in Florentin: Hoodna. Dirty couches, metal tables and live music. The bar is stretched out across two buildings on a side alley not far from all the main action. Literally underground. Tel Aviv’s first bar to start marketing on FourSquare, it’s a trendsetter. But first you’ve got to find it. This place is your absolute best bet to hear good music on any random night. And for that, it’s my favorite bar in the city. On Sundays they put on a very popular, fun & crowded drag night. Any other night, you could just as easily catch a live band as a 70s disco DJ. Personally, I’m a fan of the nights when you hear Don McLean followed by The Beatles and then some Radiohead, maybe some Libertines and then back to the 50s music. Without a doubt, one of the best bars in Tel Aviv. Hipsters love blogs and this blog is truly Tel Aviv’s best source for parties, demonstrations and vintage clothing sales (which there are a surprising amount of in a city of just 400,000). You can download the ebook for some cash, or check out the blog regularly (I read it every day when I was in town) to be in the know. Also, it’s the easiest way to find out about flash mobs, leftist demonstrations or free stuff happening around the city if you don’t speak Hebrew (which I didn’t and still don’t). The ebook also has an awesome collection of the best bars in Tel Aviv, as well as just about everything else you’d want to know as an expat in Israel. From Tel Aviv restaurants to the notorious Tel Aviv nightlife, the blog features everything! And it’s even got a section on gay bars in Tel Aviv, too. Disclosure: I snagged a free copy of DIY Tel Aviv by begging it’s awesome writer-publisher to let me have one for this exposure–which I would’ve given anyways. But, really, the pay-what-you-want guide is an excellent resource and worth more than I’m sure you’re willing to spend. Want to embrace the soon-to-be yuppie in you? Head here. Shabazi Street in the Neve Tzedek area of TLV has some very Park Slope-esque art & book shops (though maybe we should just call ’em galleries). You can grab a really nice, if not too terribly expensive (for Tel Aviv), meal at the Suzanna restaurant on Shabazi which has a beautiful terrace under a gigantic fig tree. Neve Tzedek is also home to Tel Aviv’s popular ballet studio and some of the best restaurants in Tel Aviv—for a price. One I wasn’t willing to shell out often enough as a dirty, cheap hipster. But there’s no doubt that Neve Tzedek has many of the best bars in Tel Aviv, so it’s worth a visit. The Tel Aviv nightlife on Shabazi and elsewhere in Neve Tzedek is a bit more dignified than in other areas. If you’re a hipster and want the best nightlife in Tel Aviv, you’ll want to be in Florentin. Okay, I seriously must have visited this place two–three times a week to the point I was once the FourSquare mayor (a huge accomplishment of my four months in Tel Aviv). The pizza here is delicious and you buy it by the weight of your slice. Bonus: it’s not kosher so you can get pepperoni! Okay, so you’re dragged to the Dizengoff shopping center because it’s considered a sight to see. It’s really just a big mall, but among all the European clothing chains you’ll find the SOHO Design Center. It’s on the top floor and it’s got everything from over-designed kitchen knives to Moleskine notebooks. This place is for the yuppie inside of you that wishes you had a bigger apartment than just a mattress on the floor. Tel Aviv museums: art! art! art! 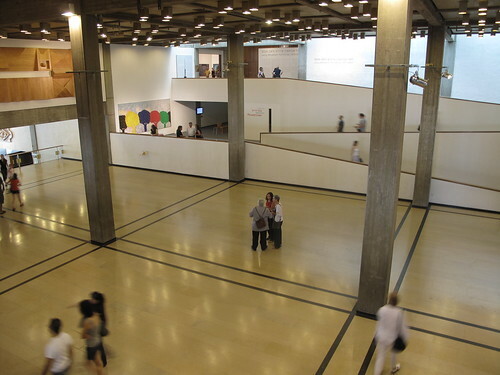 You could and should also check out the Tel Aviv Museum of Art which, though it’s not free, has everything from modern art to your usual impressionists. Can be nice to visit when it’s stifling hot outside because they’ve got some strong a/c. 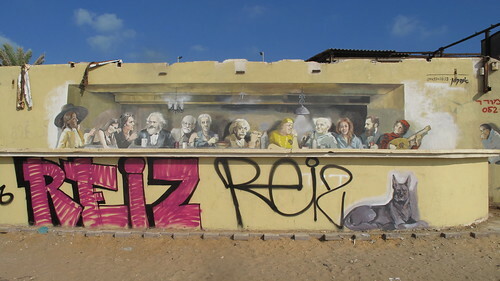 Just outside of Tel Aviv, in Holon, you’ll find two other hipsterish museums worth visiting: the Design Museum in Holon and the Israeli Museum of Caricature and Comics. One other (important) thing: any hipster will tell you it’s important to be aware of the world around you, but a truly awesome one actually gets involved. Learn about the politics & culture of the Israeli/Palestinian conflict. There are often video showings, tours to the West Bank, small demonstrations and free lectures (even in English) around the city. Again, DIY Tel Aviv is a good source for finding out about the English stuff, and the book (if you buy it) gives you tons of good resources. And when you’re walking around the city, sober or not, pay attention to all the graffiti. It’s seriously everywhere (even on the beach) and some of it is even adorable. Yes. Adorable. Oh, and just so you know, dear hipster, there’s an H&M at the Azrieli Center (another shopping mall) if all the independent designers and clothing shops scattered around the city are a little too original for you. PS: Don’t forget to people-watch at the following places: Rothschild Boulevard, Gordon Beach and Rabin Square. New to travelsofadam.com? Adam is, was and will continue to be a hipster. But he is also a dreamer, a lover, a traveler, a graphics designer. 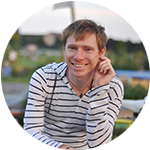 Follow this hipster travel series by: (1) becoming a Facebook fan (Facebook is so not cool these days, that it maybe actually is); (2) subscribe to the RSS feed if you’re into that kind of thing; or, (3) sign up for the monthly e-mail newsletter. Trust me, this is going to be good. Hope you get to visit someday! So awesome! I heard Tel Aviv was really cool but thanks for laying it out and showing me. Can’t wait to get over there, one of these days. It’s a surprisingly city! Most people don’t realize it’s so cool but it really, really is. 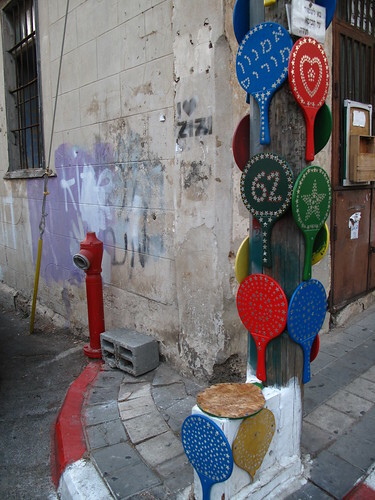 What I loved the most about Tel Aviv was the street art galore! That and the super laid back lifestyle. Totally enjoyed your “hipster” post ! The street art really is pretty impressive in TLV. Thanks so much for the comment! Sabina, you absolutely have to spend more time in Tel Aviv! It’s such an interesting place and completely unlike any other city. Wow! Its really change my perspective towards Tel Aviv.I thought it just a scary place full of war.Turnout that the ‘other’ part of Tel Aviv is interesting.Keep on writing! Tel Aviv is completely unlike the rest of Israel – that’s what makes it so special. You hear so much about how fantastic and cosmopolitan Tel Aviv is. This really puts things into perspective. It is! Though it’s still very much in a country full of political turmoil. You just don’t feel it in Tel Aviv. I never got this side of it when I was there, as I was in and out of the airport, bound for other places in the country. Nice read. Tel Aviv is probably one of the better places in Israel. Sorry you missed it!